Governorship candidate of the All Progressive Congress in the 2015 governorship election Chief Timipre Sylva has filed his petition at the Bayelsa State governorship election Tribunal sitting in Yenagoa. 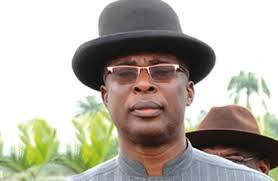 Timipre Sylva lost the December 5th and January 9th governorship election to Governor Henry Seriake Dickson of Bayelsa state. INEC had during the collation of the Various Local Government Areas in Bayelsa State announced the cancellation of results from Southern Ijaw Local Government Areas on grounds of violence,thuggery and rigging which characterised the election. On the 9th of January 2016,the election held in Southern Ijaw with Timipre Sylva coming out victorious.